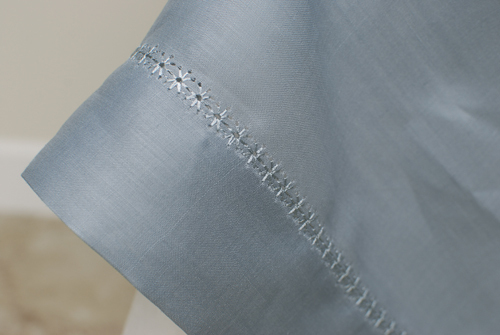 This delicate table topper provides an opportunity to explore your sewing machine’s heirloom capabilities as you craft a truly charming handkerchief linen tablecloth appropriate for exceptional events or to match an elegant décor. 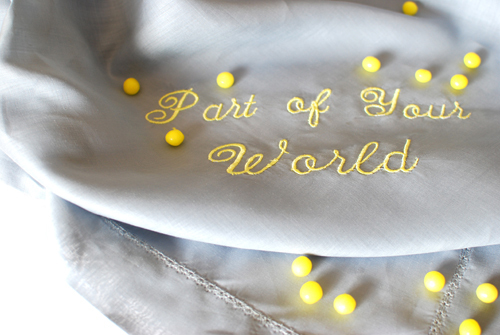 Embellish your table topper with machine embroidery to mark a special occasion. 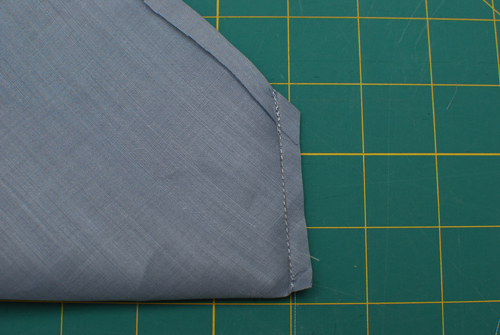 Step 1) Hem the square and miter the corners. 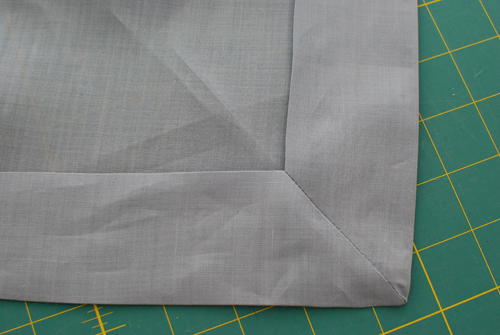 Fold under and finger press 1/2″ all around the square, pressing especially firmly at the corners. 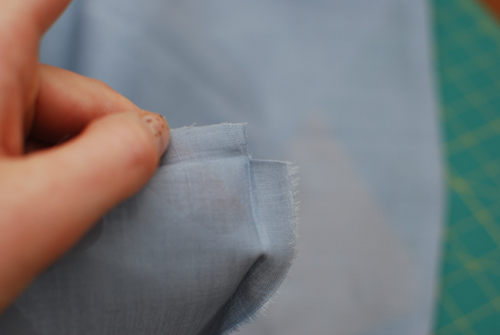 The natural stiffness of the linen makes it easy to crease. Note: A steam iron may be used instead of finger pressing if you wish. 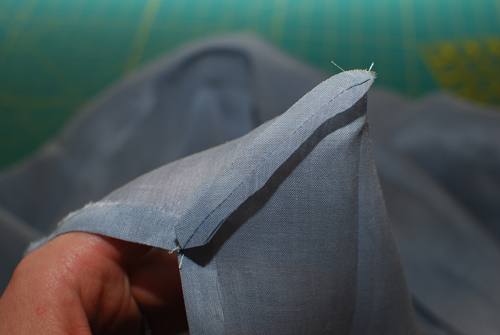 Unfold the fabric at the corners, where you will see a square defined by the creased lines. Cut this square out with the scissors. 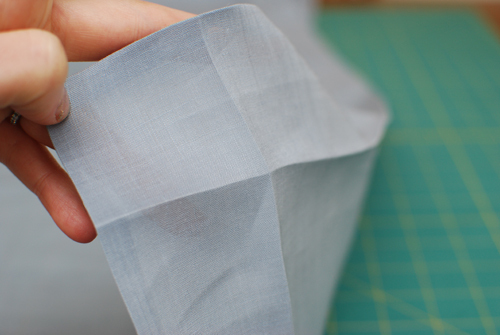 Cut a 2″-wide strip of cardstock to use as a hem-folding guide. 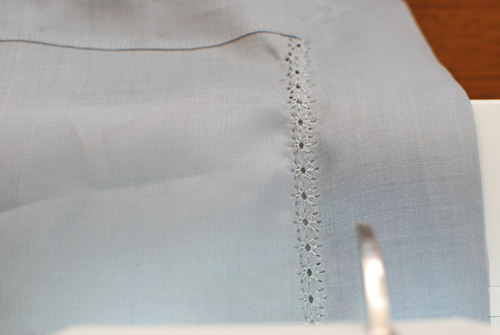 Fold under 2″ around all sides of the tablecloth, placing the narrow hem inside the new hem. Press especially firmly at the corners to create a marked square. 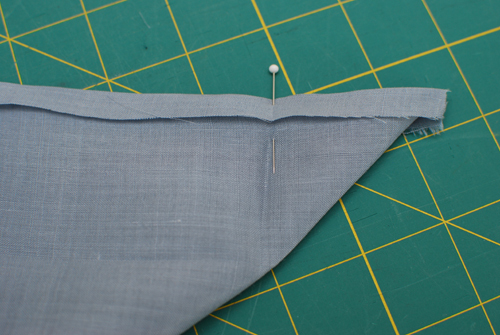 Unfold the corners, then fold and pin them as shown in the photo. 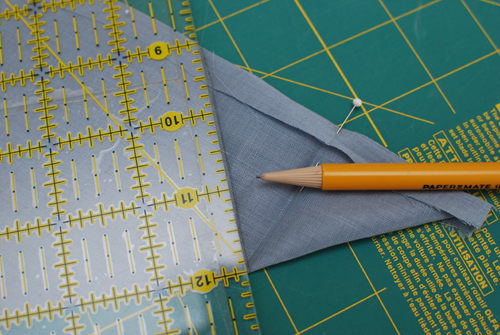 Mark a new sewing line perpendicular to the new crease and mark it with a pencil. Pin as shown in the photo. Furn over the corner to check your work. 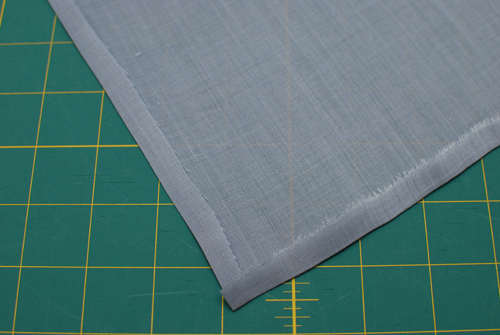 If the seam is laying nice and flat you can cut the excess fabric away, leaving a 1/4″-wide seam allowance. Press the seam allowances open with your fingers. Turn the corner right side out and press. 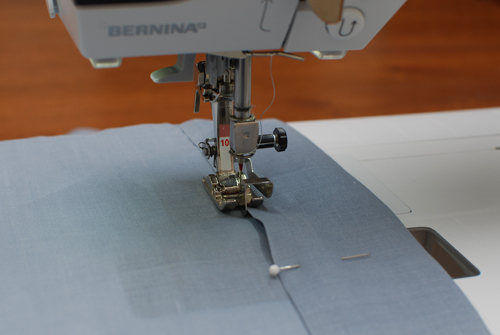 Attach the edgestitch foot to your machine and adjust the needle position approximately two positions to the right. 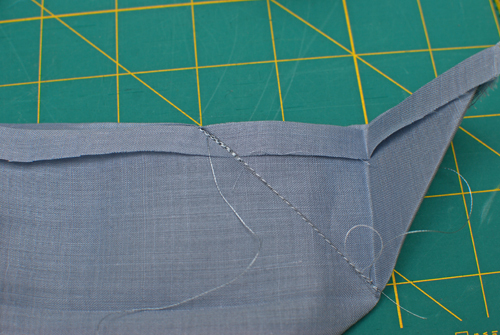 Step 2) Sew the hemstitching using a Wing needle. 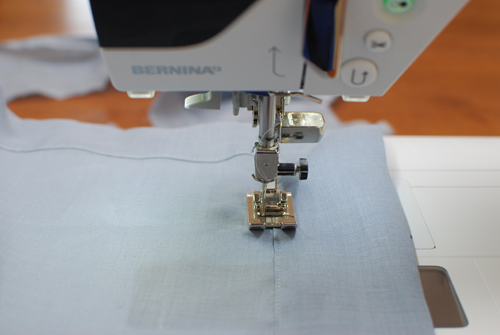 Attach the zigzag foot to your sewing machine and insert a Wing needle. Select your favorite heirloom stitch. Tip: For this project, a star-shaped stitch was used for the Wing needle stitching. 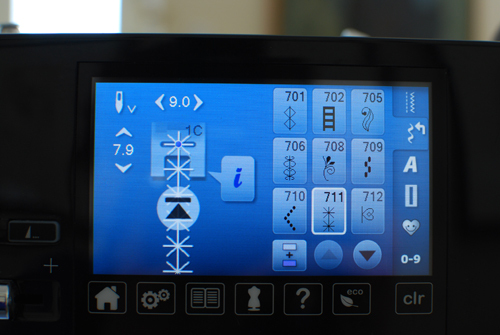 Another good choice is the entredeux stitch (#701 on the B 580 sewing machine screen shown here). Stitch along the hem, over the previous stitching. 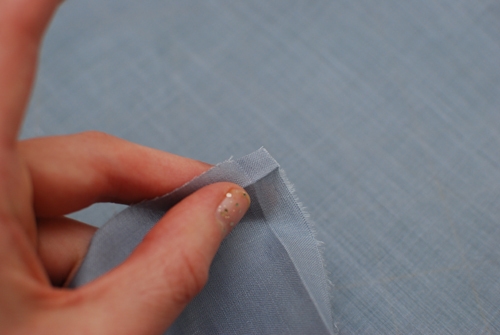 The stitch will pull slightly at the fabric…. 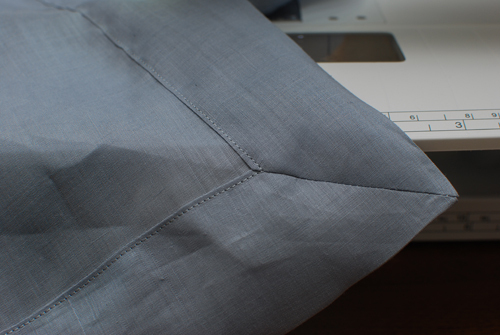 … just press it back in shape carefully when the stitching is finished. Step 3) Embroider your table topper (optional). 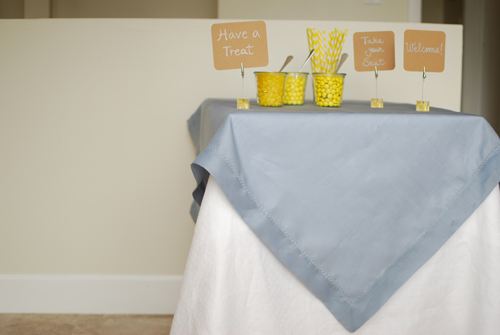 If desired, use an embroidery machine to embellish your linen tablecloth with words in a tone matching the occasion.